I avoid eating eggplants as much as possible. It’s too mushy and bland. And the taste generally turns my palate off. So when the typhoon shelter eggplant arrived at our table in Xiu Fine Cantonese Dining, I wasn’t thrilled in the slightest bit. But little did I realize that this very dish will change the way I feel about this often overlooked fruit. With a crunchy coating complemented by generous bits of toasted garlic, the garlic’s pungent taste melted into the fruit’s subtle flavor. It’s easy to appreciate eggplant when its subtle flavor plays with fuller ones like in this dish. At the center of each piece are shrimps sourced from Dampa along Macapagal Blvd., Manila and then kept in their in-house tank for freshness. Everything goes well with a shower of vinegar. 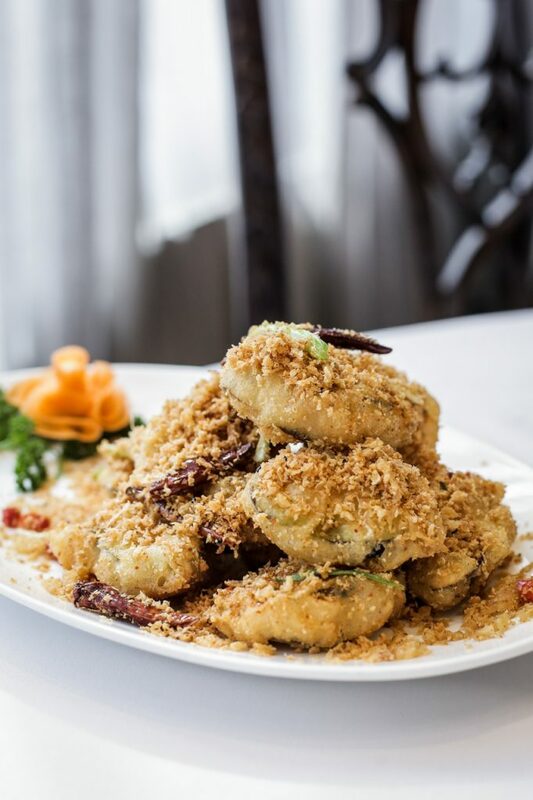 Xiu, the Cantonese restaurant that replaced Lugang Cafe on Connecticut St. in San Juan, is slowly introducing new items on their menu this year including this life-changing—at least to me—appetizer. 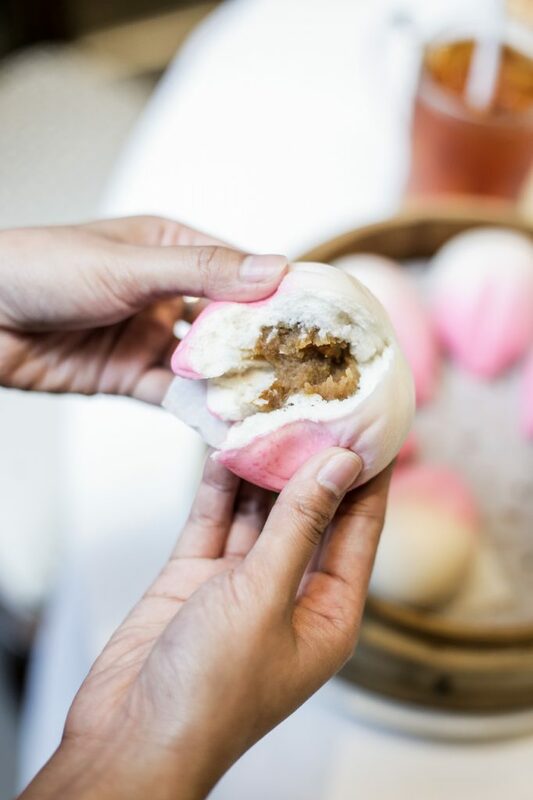 As they refine their dishes, traditional Hong Kong cooking techniques are still at the core of every delicately-prepared fare of this restaurant. Still no MSG, just quality cooking and fresh ingredients. The typhoon shelter eggplant leans on the spicy side: crunchy on the outside, but soft on the inside. E-fu noodles are drenched in sauce with the unmistakably rich aroma of truffle oil. 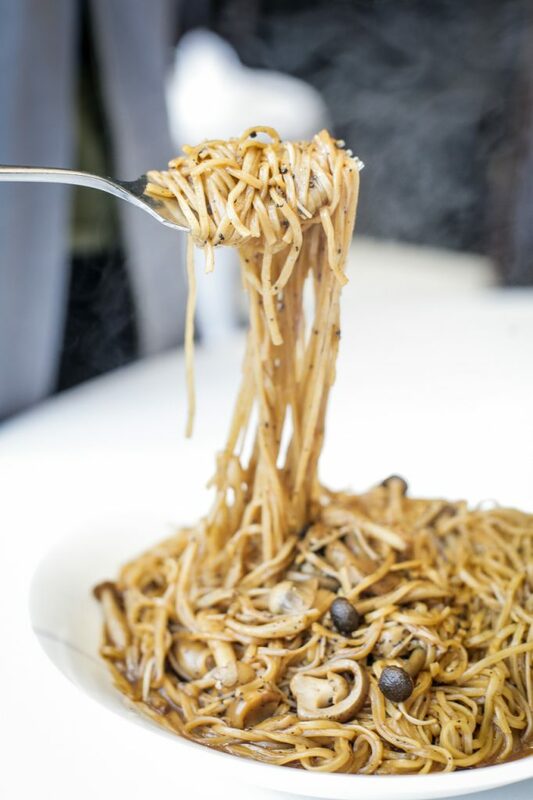 After a quick eggplant introduction, move on to the e-fu noodles with squishy enoki and straw mushrooms bathed in a savory sauce with truffle oil. One serving could already nourish three to four miserable souls. Wok-fried and with scallops, this dish kicks the usual egg up a notch. 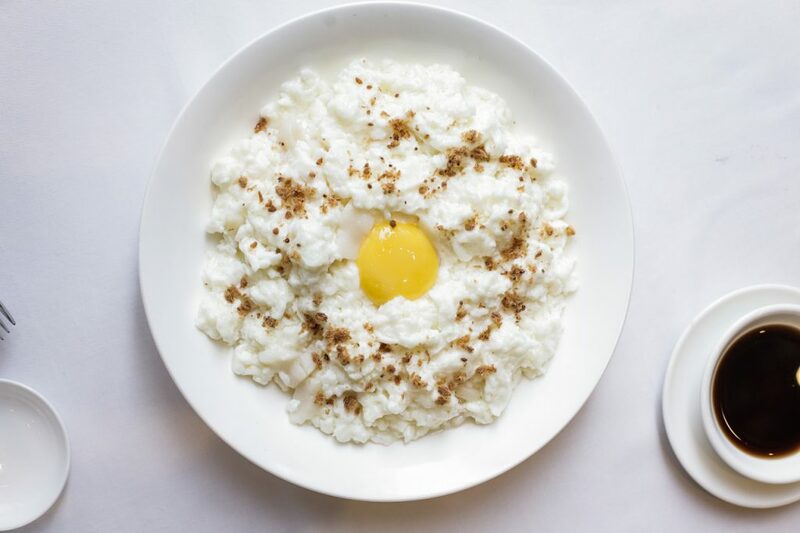 Wok-fried egg white with scallops resembling a sun on a nice summer day is light on the tongue. You know it’s stir-fried properly when the whites are fluffy as a cloud and don’t feel rubbery or watery when chewed. Splash black vinegar for an added kick, then break the yolk and stir with the whites before it gets cold. 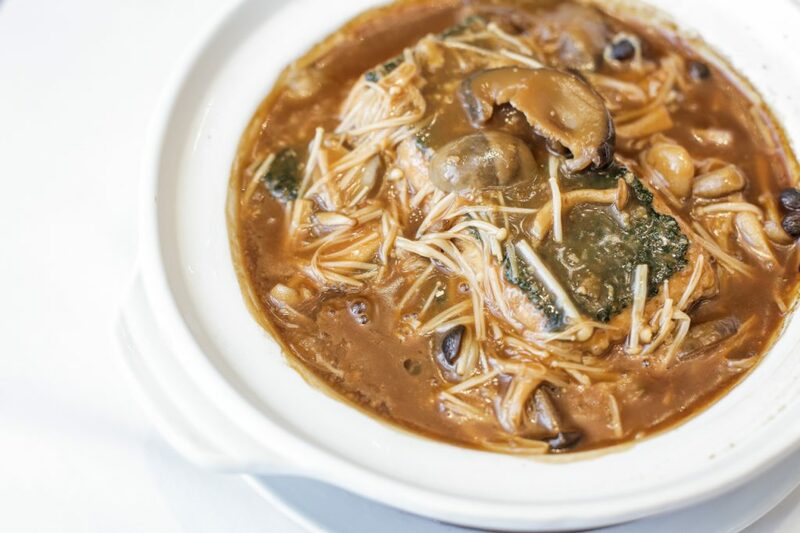 Enoki, shimeji, and straw mushrooms swim in the sauce of braised spinach tofu in clay pot. Marketing and communications manager Alexandria Dee won’t disclose the secret sauce of the braised spinach tofu in clay pot but revealed that abalone is one of the ingredients. Its sauce with strong umami flavor enhances the silky tofu blanketed with spinach. Enjoy the piquancy of the sea built up by its garlic flavor with these steamed white clams with vermicelli. Birthday buns are usually offered during special occasions in the restaurant. 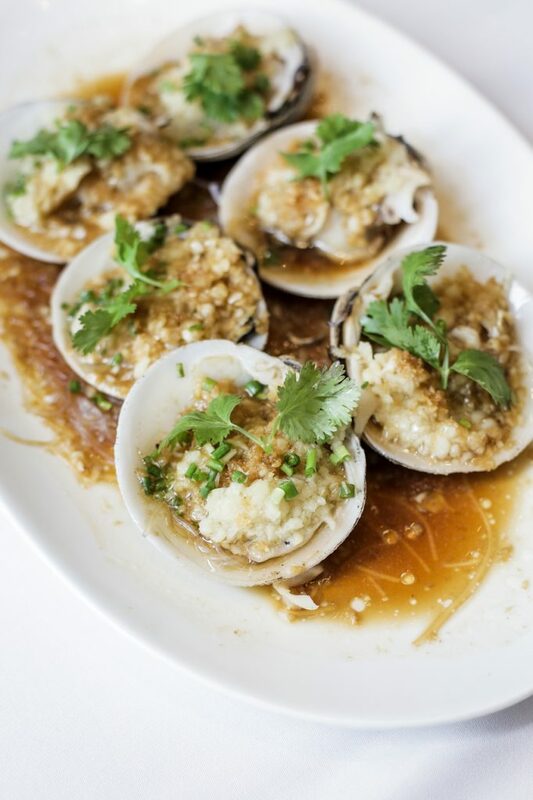 Living up to the name’s essence, Xiu shows off the same kind of elegance in their steamed white clams with garlic and vermicelli as well as on their birthday buns—their own take on the Chinese longevity peaches (pastries filled with lotus paste and egg yolk believed to grant immortality to humans). I know, it’s cheesy, but in a way, that quick Cantonese gastronomic adventure made me realize that sometimes, we don’t hate a particular food—we just haven’t found its best form yet.